Dr. Ramin Rabbani OD offers a unique, personalized approach to eye care. A Southern California native, Dr. Rabbani earned his undergraduate degree from UCLA before earning his doctorate from the New England College of Optometry in Boston. In the years since his educational achievements, Dr. Rabbani has received diverse training in a variety of post-graduate areas. For example, he specialized in treating glaucoma, cataracts, and macular degeneration through training at Omni Eye Services, an institute renowned for its work with these eye diseases. Dr. Rabbani also treated young, elderly, and legally blind patients at the Veterans Administration Hospital in Boston as well as at a community health center. Dr. Ramin Rabbani OD is a philanthropist who has restored vision to men, women, and children in Los Angeles as part of his participation in the Gift of Sight program, which provides voluntary treatment to underprivileged populations. When Dr. Rabbani was still a student, he also traveled to the Yucatan with Volunteer Optometric Students for Humanities on a mission to provide thousands of local residents, who had been largely deprived of access to healthcare, with glasses. 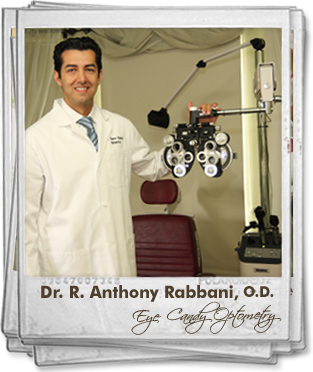 Throughout his optometric career, Dr. Ramin Rabbani OD has become experienced in a wide range of treatments. 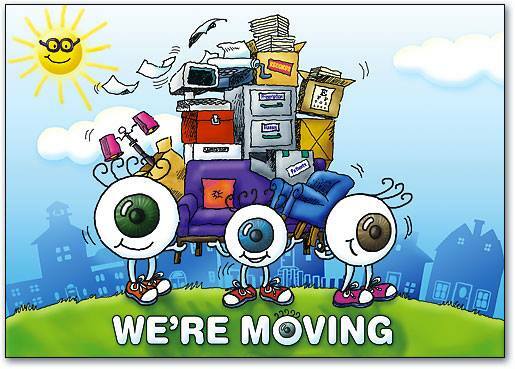 Effective eyeglass prescriptions and contact lenses that fit properly are both available from the office of Dr. Rabbani, who also co-manages refractive surgeries such as PRK and LASIK. As a result of these corrective procedures, many patients have been able to reduce or even completely eliminate their dependence on contact lenses and eyeglasses. The diverse experience of Dr. Ramin Rabbani OD, both in the clinic and elsewhere, has made him an asset to patients who have eye problems that affect their comfort and vision. The personalized approach Dr. Rabbani takes in treating patients is reflected in the positive experiences visitors consistently receive at his office. A keen focus on finding out how to help patients maintain their vision throughout life supports the efforts of Dr. Rabbani in all aspects of his practice. Fluency in Spanish, Farsi, and English further enable Dr. Rabbani to offer patients a high level of compassionate eye care.